What they do all day? You can DIY a lot of things, but big money decisions are sometimes best left to professionals. Financial advisers step in where many people fear to tread, offering advice on investments, savings, taxes and insurance decisions. How to get the job? Although certification isn't required to become an adviser, employers are more likely to hire prospects with letters after their names, such as CFP (Certified Financial Planner), CFA (Chartered Financial Analyst) or CPA (Certified Public Accountant). Once they pass their test of choice, advisers may have to work for a certain number of hours before the certification is official. What makes it great? Advisers help clients achieve financial success, which feels pretty warm and fuzzy. And they can hang a shingle for themselves, work as part of a larger firm or even work virtually if their clients are comfortable with it. What's the catch? In an up market, financial advisers can be heroes. In a down market, they can be scapegoats. Handling someone else's life savings can be daunting, especially when things are headed south. --K.A. 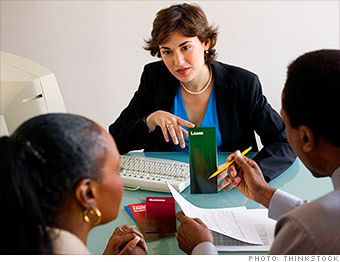 Do Financial Advisers have great jobs, or what?